For those who are staying close to home this weekend but want to take a little excursion, there are options! 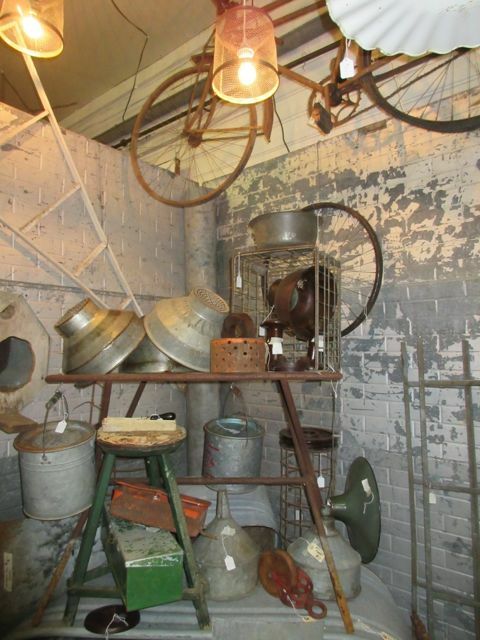 Vintage Marketplace in Farmington is open Fri-Sun with many vintage pieces like the old fashioned washing tub and lots of furniture. 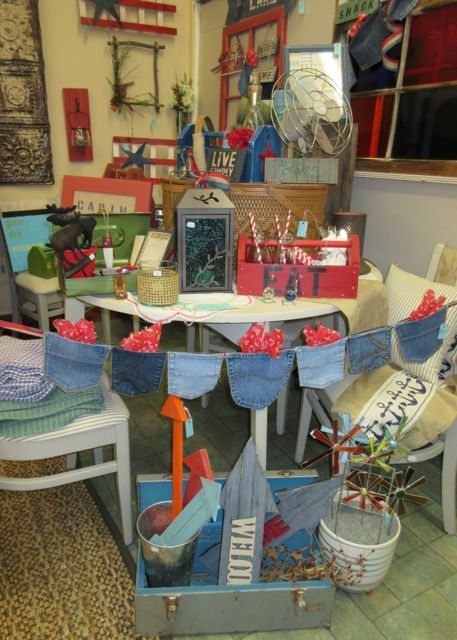 How clever to use denim pockets for a unique bunting for a child’s room or porch! 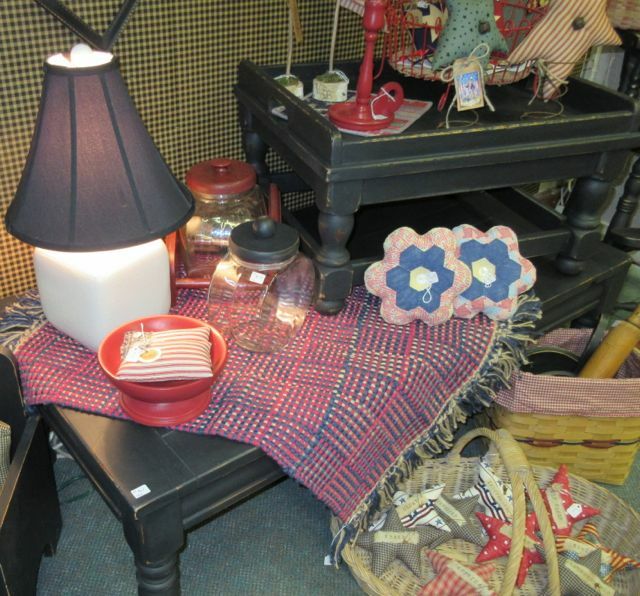 Other handcrafted items are signs for the cabin or garden, pillows and decorations with a country vibe made from old quilts, and repurposed jewelry with Minnesota themes. Not far away in Rosemount, A Cat and The Fiddle A Fair is offering discounts today and Saturday before they close the current location at 3005 Lower 147th St. W. and prepare to move two blocks north. 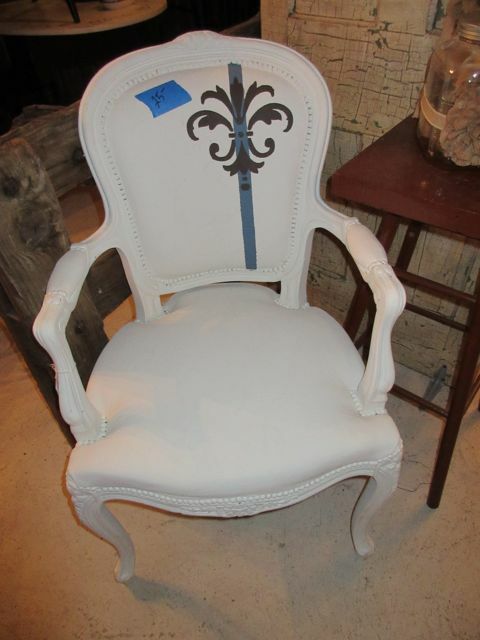 The stylish painted chair is just one sale item marked way down. 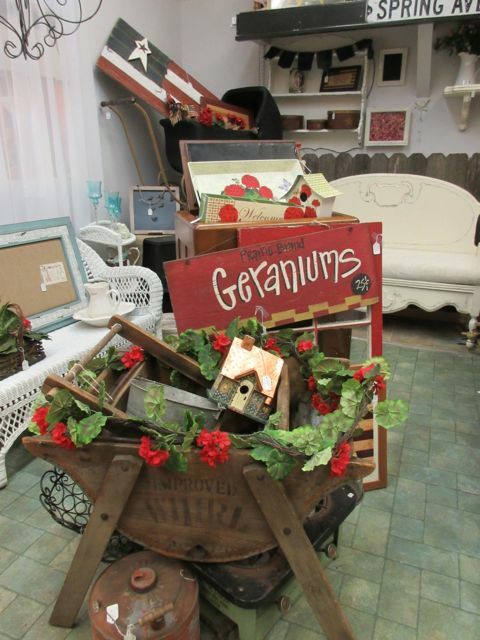 Stores in Carver open today and Saturday include The Good Junk Garage with a great collection of metal junk, The Carver Junk Co. filled with big furniture and small signs, and Studio H with pillows, hand sewn bags, and assorted refinished furniture. Why not bring a picnic and enjoy Gazebo Park? 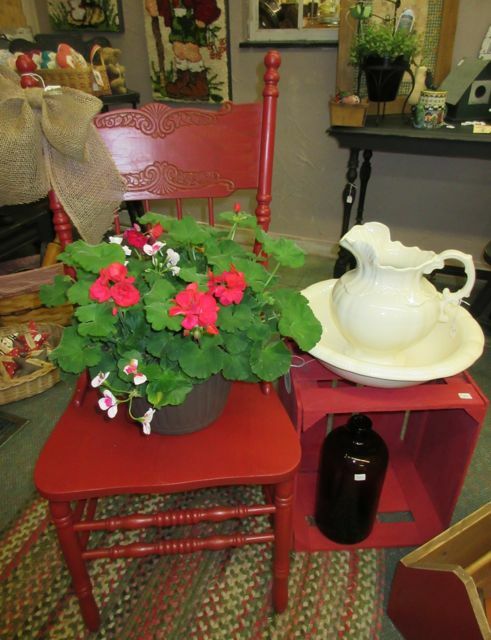 Linda’s Cellar in Chaska will be open Saturday 10-4 too. Happy saling! 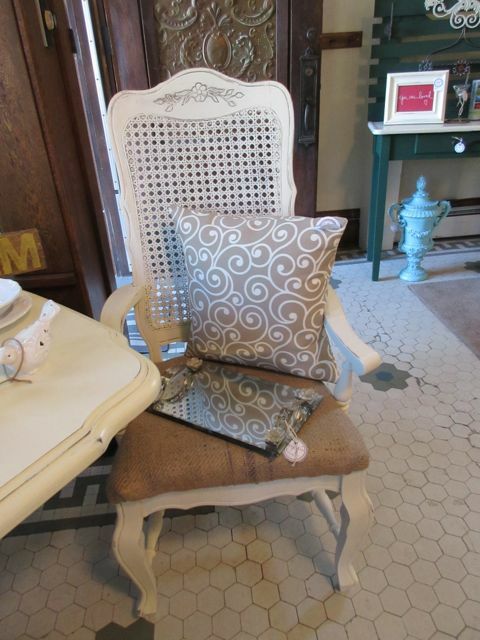 This entry was posted in Cool Find, Friday Find, Occasional Sale Recap, This Week's Sales, Top Picks, Weekly Highlights. Bookmark the permalink. 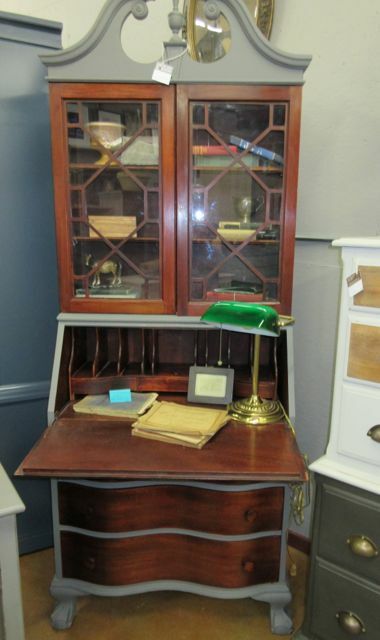 LOVE the secrétaire at the Carver Junk Company!! !